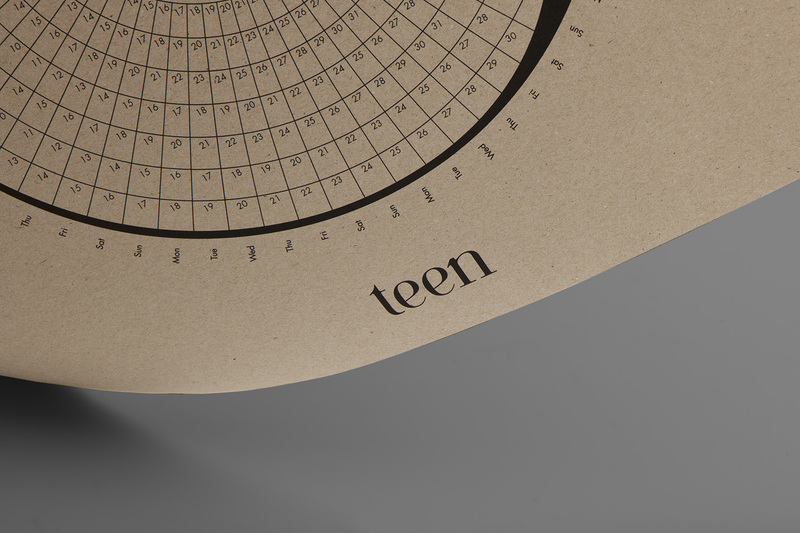 With 2018 coming up, I challenged myself to create a calendar that questions classical formats and ways of how we showcase the next 365 days ahead. 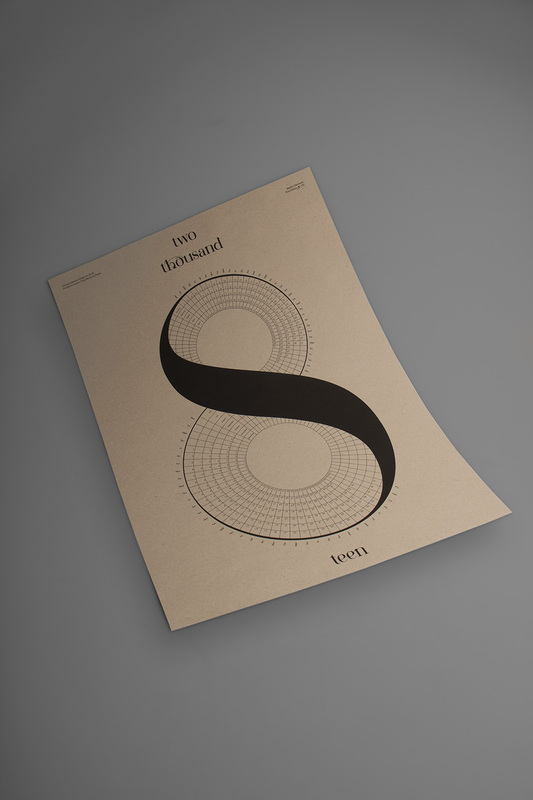 Using only typography and minimalistic aesthetics the calendar was designed for a poster format (50 x 70cm). 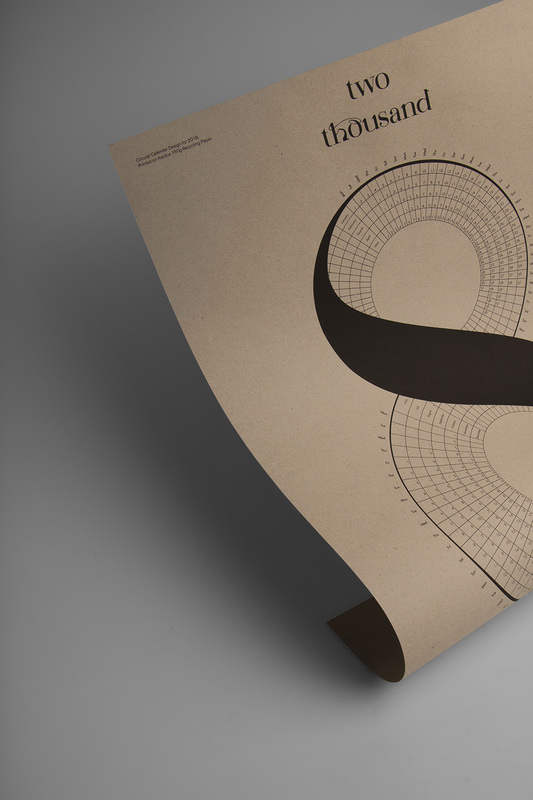 The arrangement makes use of the figure eight and showcases the individual months in a circular way inside the two counters. This also allows the reader to easily find out specific week days of multiple months at first glance. 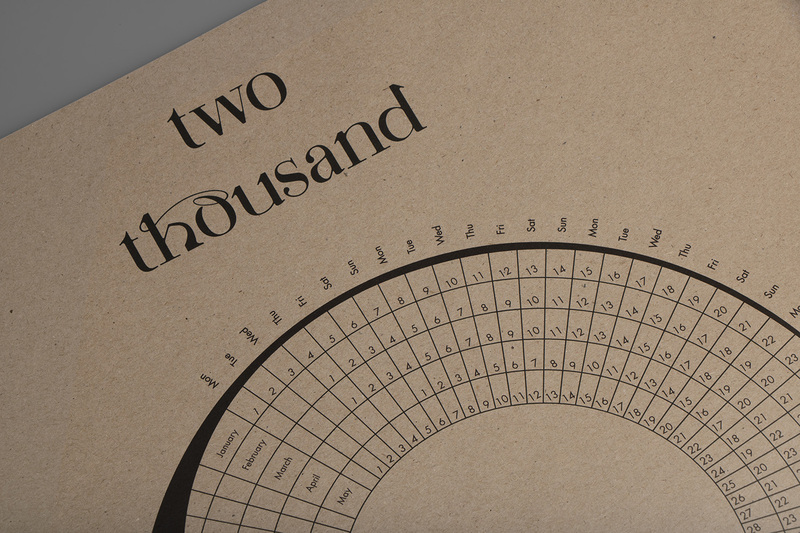 The calendar was printed on recycled Kardus 150g paper.